The Jeep Grand Cherokee is the vehicle that can take you on your next journey around Jacksonville, TX. Be prepared to be impressed when you visit Palestine Chrysler Dodge Jeep Ram FIAT today. If you enjoy adventure and even like going off-road but you want to do it in style and luxury, then we have the perfect answer for you and your family. The Jeep Grand Cherokee is the SUV that offers you the luxury you want and the adventure you crave. If you want to learn more about the Jeep Grand Cherokee be sure to come and visit us at Palestine Chrysler Dodge Jeep Ram FIAT. Who doesn’t like to go off of the beaten path once in a while? If you yearn for the adventure that can only come from hitting the mud and trails then you will appreciate the Jeep Grand Cherokee. This versatile SUV is capable both on and off of the road but really shines off of the pavement. Thanks to the Jeep Brand 4×4 Systems you can go more places in your Grand Cherokee. Take yours in the sand, mud, rock, or snow with ease and pass the competition on the road. With the ability to drive through up to 20-inches of water there is nothing standing in between you and your off-road adventure. The Selec-Terrain Traction Management System gives you better control over your drive and the Quadra-Trac and Quadra-Drive II give you more options to control your experience. The Grand Cherokee can even tow up to 7,400 pounds so you can take an overnight camping trip too. Let us show you how the Grand Cherokee can improve your off-road experience at Palestine Chrysler Dodge Jeep Ram Fiat today. Who says you can’t go off-road in a luxury vehicle? Not us! That’s because the Jeep Grand Cherokee gives you the luxury you want on the inside to comfort you as you hit the rocks and mud head on. There are even convenient features throughout the cabin to make your drive the most enjoyable one yet. The quilted supple leather seats give you the comfort and support you want that supports you as you crawl up the steepest pile of rocks. Heated and cooled seats let you pick which temperature is right for you even when the weather may try to say otherwise. You are in control of your comfort in the Grand Cherokee. With real metal trim, wood grain inlays, and ambient lighting, you won’t even know you are heading off-road in your SUV. Want to know more? Let us show you these features and more at Palestine Chrysler Dodge Jeep Ram when you talk to one of our product specialists. You don’t have to go without technology when you pick the right vehicle. The Jeep Grand Cherokee gives you all the tech you want inside that helps you stay entertained and connected while on the go. Apple CarPlay and Android Auto are your gateways to stay connected and let you do more on the go. For instance, you can make a phone call to the campground to make a reservation, text your partner in crime to let them know you are picking them up for your adventure, get turn-by-turn on-screen directions with real-time traffic updates to your destination, stream your mood music, and even schedule an appointment in your calendar with the car detailer, all with the sound of your voice via Bluetooth. We can’t wait to give you a demo of these features as well as all of the tech features at Palestine Chrysler Dodge Jeep Ram Fiat today. 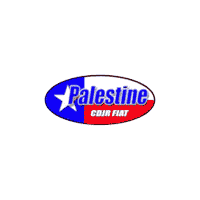 Palestine Chrysler Dodge Jeep Ram Fiat is your destination for the Jeep Grand Cherokee as well as the entire lineup of Jeep vehicles. We love the Grand Cherokee and we are excited to share it with you. We think you will love everything this fun to drive and capable SUV will bring to not only your daily commute but your weekend getaways too. We have a fantastic selection of new Grand Cherokee models for you to choose from, so you won’t have to go anywhere else to find the one you want. Get started by browsing our online selection, and then come down and see us for a test drive. We can’t wait to help you start your next adventure.